live streamed performance happening simultaneously in four countries. Four extraordinary theatres, each deeply rooted in their own community, explore their relationship to home, language and migration. A Brazilian activist at the Pequeno Ato Theatre in São Paulo performs with a chorus of women from Shepherd’s Bush, London. 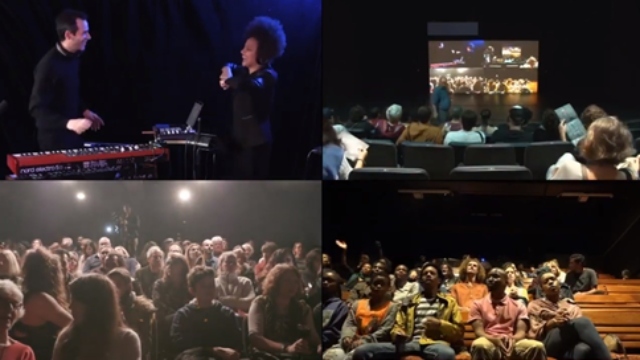 Musicians at Harlem Stage in New York City act out the experiences of students at the Market Theatre Lab in Johannesburg in a celebration of the possibility and power of cross border encounters. Presented as part of the Up Next programme by Bush Theatre and Battersea Arts Centre in partnership with Artistic Directors of the Future. Devised by Ruthie Osterman, Sarah Elizabeth Charles, Pedro Granato and Mwenya Kabwe. 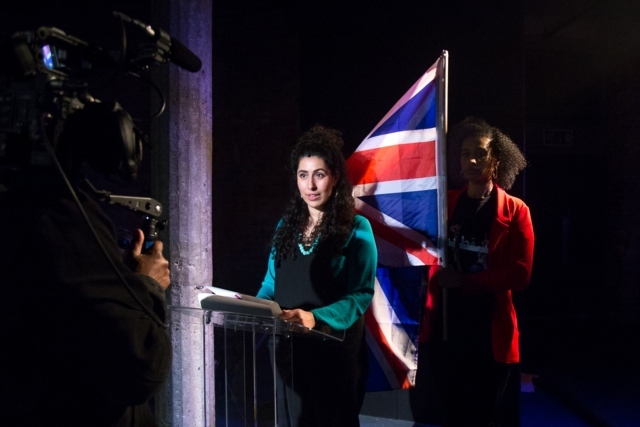 Babylon Beyond Borders was presented as part of the Up Next programme at the Bush Theatre. Up Next is a leadership programme championing the next generation of visionary culturally diverse leaders and artists. 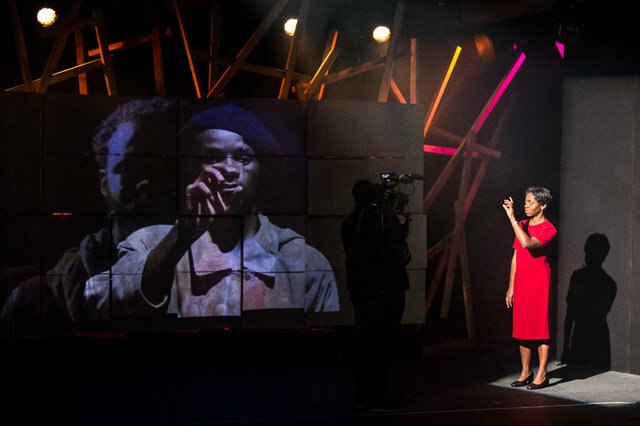 As part of this programme, Executive Producer Tobi Kyeremateng and Artistic Director Ruthie Osterman were given the opportunity to take over the Bush Theatre for a season and programme the space. They created BABYLON a two-week season with Babylon Festival in the first week, curated by Tobi Kyeremateng and celebrating the contemporary influence and experience of black and brown people. And Babylon Beyond Borders in the second week – a live streamed performance happening simultaneously in four countries, created by Ruthie Osterman. 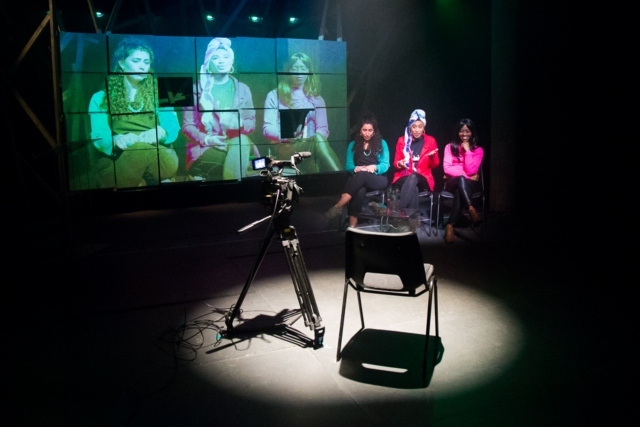 The vision behind Babylon Beyond Borders was to connect the Bush Theatre’s local community to other communities around the world by creating international collaboration that would happen simultaneously in various countries. The idea was to challenge the way we create theatre and to work collaboratively with artists from around the globe, using modern technological and digital tools for communication. The main goal was to create a significant encounter between theatres and artists around the world and to create work that could generate social and political change. The decision to use the live stream method came out of the will to find an alternative encounter to the physical one which is limited by physical borders and the privilege of travelling abroad. Between 5th to 9th November 2018, the Bush Theatre hosted an intensive Research & Development workshop with the international partners. In the workshop, the lead artists from London, Johannesburg, New York and São Paulo devised the content of the performance, learnt and developed how to incorporate the live stream element and agreed on a working method. The workshop ended with an open sharing for Bush staff which was live streamed on social media. Four extraordinary theatres, each deeply rooted in their own community, explore their relationship to home, language and migration. 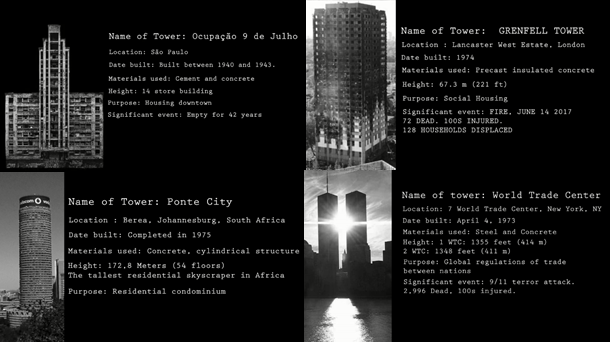 Deconstructing the biblical story Tower of Babel, the four companies present stories of four contemporary towers; The Grenfell Tower in London, The Ponte City Tower in Johannesburg, Ocupação 9 de Julho in São Paulo and the World Trade Centre in USA. Through the stories of those towers, they raised questions about home and boundaries. A Brazilian activist at the Pequeno Ato Theatre in São Paulo performs with a chorus of women from Shepherd’s Bush. 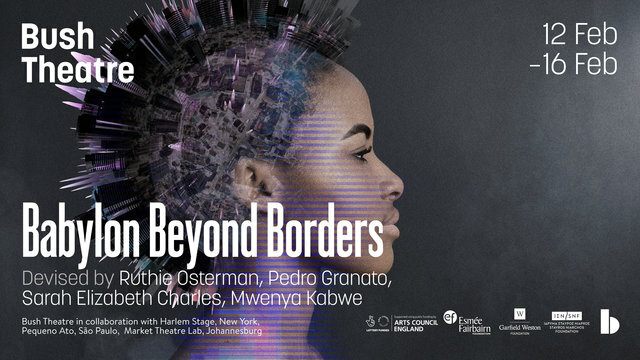 Musicians at Harlem Stage in New York City act out the experiences of students at the Market Theatre Lab in Johannesburg in a celebration of the possibility and power of cross border encounters. 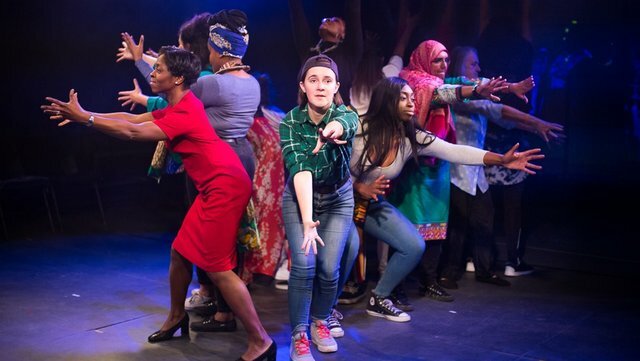 Babylon Beyond Borders incorporated an intergenerational chorus of 11 women from the Bush Theatre’s local community, coming from vast backgrounds, and age 21 to 71. The chorus was a combination of professional and non-professional performers who were interested in the project and were willing to explore their personal connection to home, exile and migration. The cast and creatives of Babylon Beyond Borders represent the beautiful diversity of Shepherd’s Bush and sees London as a modern Babel. This is a celebration of cultures and identities. There were 19 languages presented on stage and on screen: Portuguese, Italian, Amharic, French, West Indian Patois, Swahili, isiZulu, Kikuyu, Kiswahili, Urdu, Punjabi, Polish, Spanish, German, Dutch, Italian, London Back slang and English.